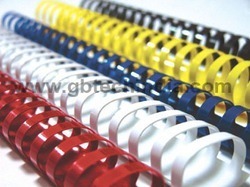 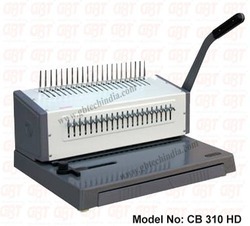 We are engaged in fabricating a wide range o Binding Machine Comb for our clients based across the industry. 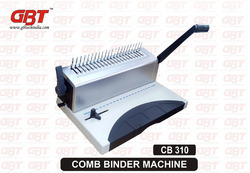 These are known for their superb binding, high speed punching, low maintenance and hassle free operation. 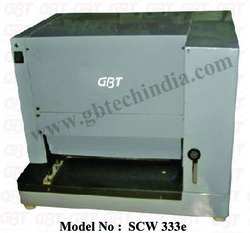 The machines are available in various sizes & dimensions and can be offered at industry leading prices. 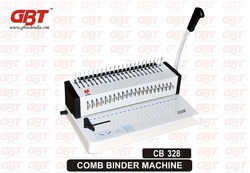 Our quality range of Heavy Duty Electric Comb Binding Machine and Electric Comb Binder - (CB-315e) is installed with electric punch and manual binders. 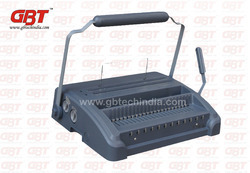 The range is widely used across the corporate sectors and publishing sector. 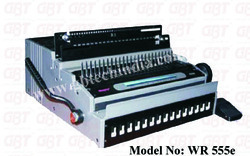 These machines are appreciated for their high speed capacity, excellent binding thickness and low maintenance. 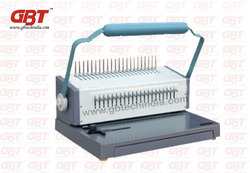 The products are offered at economical prices to the clients across the world. 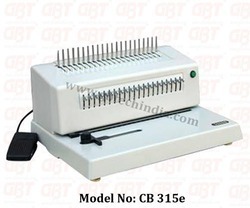 We are offering electric wiro & comb binding machine.